Honda Motors is all set to launch the Honda Mini MPV, which promises to accommodate your whole family along withyour entire luggage. Suzuki has reason to worry as this company till recently had been dominating this segment with the Suzuki Ertiga. There was absolutely no competition for Suzuki in this inventive segment, but Honda has gone ahead and has succeeded in putting a spanner in the “works” of Suzuki. It would be noteworthy mention here that Suzuki managed a whopping 32,000 bookings within the first month of the launch of its Ertiga MPV. The Maruti Suzuki Ertiga is modeled on the lines of the Swift. Incidentally the Suzuki Ertiga is exclusively for Indian markets only. The Honda Mini MPV which has been designed on a platform akin to the Concept S, displayed at the recently concluded Beijing Auto Show, will first be launched in China first and then make its way to India for a grand launch.Cars like the Honda Mini MPV are ideally suited for countries like China and India due to the huge population factor and hence the manufacturing decision of a global platform. 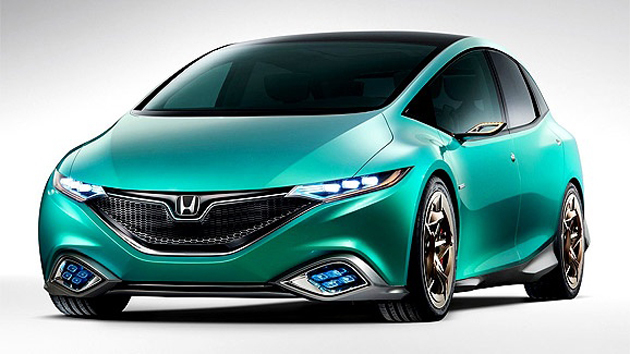 Honda will also be introducing a 1.6 liter diesel engine for its sedan class of cars which include the Honda Civic and City. The new Honda Mini MPV will have an extra seating row with a much spacious boot space. The car is expected to be launched in India by 2014.